What if the Bible gets Updated? Since the dawn of Times, shifting temperatures, rising sea levels, natural disasters, and Change in Genes have ordinarily happened. These events happened consistently Over Time. Lately, The World has witnessed a cascade of genetic drifts that altered dramatically all Sorts of Species. Surprisingly, The World Became a "New World of FEAR" BUT the BIBLE has NOT Been Scientifically updated YET to Evangelize This new Changing World. I know and I Understand the implications about how People view this matter, sometimes they even deny the whole idea of it. This Ostensibly Difficult Task has to be Acknowledged/ Considered as new ways of Teaching the Bible/Gospel to the Christian World such as Catholics ,BAPTISTS, Adventists, Jehovah Witnesses, Pentecotists, and Vodoyisans..! Chibly Langlois, appointed by Pope Francis as Haiti's first cardinal, is faced with stopping the co-mingling of Voodoo and Catholicism in Haiti. Voodoo had been Haiti's religion before the island became colonized by Catholic countries of Spain and France. On the island of 10 million, 80% practice Catholicism, but 50% indulge in the practice of Voodoo as well. According to Langlois, Voodoo is a religion of the poor, who have no money to pay a doctor when they fall ill. 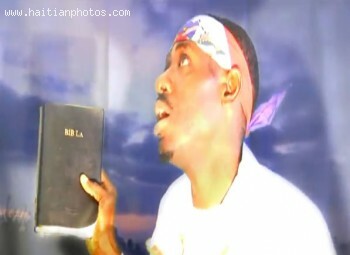 So they seek the services of a Voodoo priest, who can petition Voodoo spirits for healing. Other intercessions for money and fortune-telling also take place. 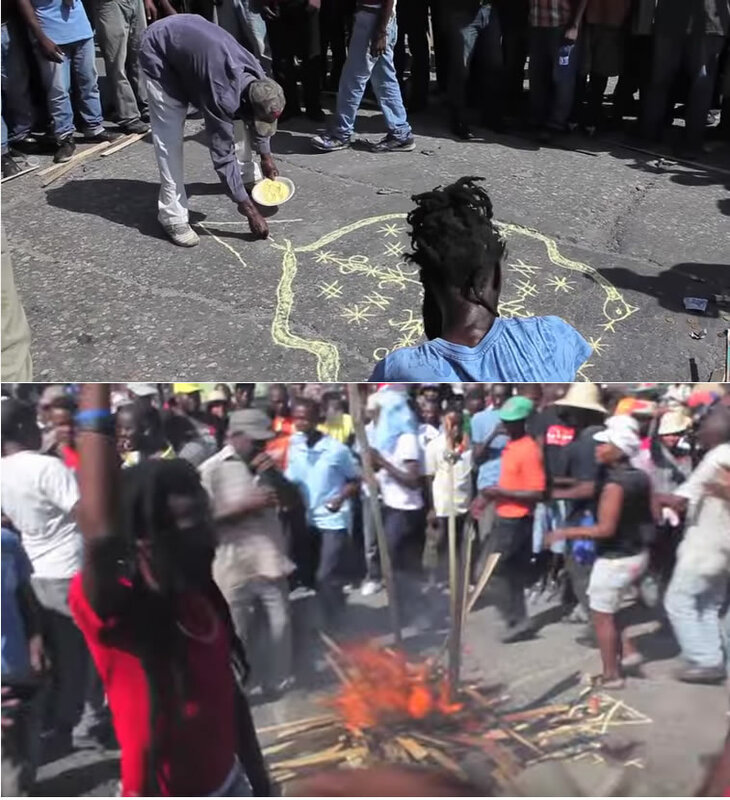 The battle for the sole of Haiti has begun once again. 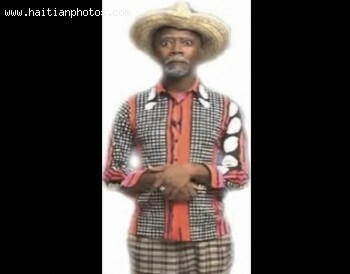 In an article written in theguardian.com, newly nominated Haitian Cardinal Chibly Langlois, said that "Voodoo won't save Haiti. Traditional faith offers no real solutions for the poor and is a big social problem". 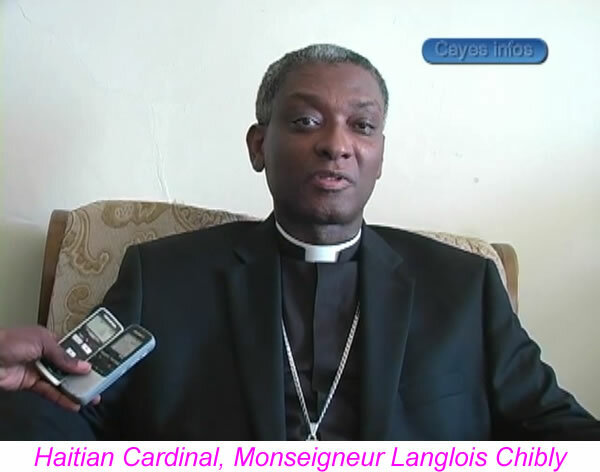 Cardinal Chibly Langlois attributed Haiti's political problems to its belief system. "If a person is well educated and has the financial means, they will go to a doctor rather than a Houngan when they are sick. The same is true for conflicts between the population; someone would go to Court to get justice instead of going to the voodoo priest to get revenge. The idea of a perfect mother is encapsulated in the essence of the Haitian Vodou Lwa, Ezili Dantor. Known affectionately as Mama Danto, the god is probably the country's most revered deity, as well as a model for the role of matriarch in the culture. From the family Erzulie among the spirits (Lwa) of Haitian Vodou, Ezili Dantor is looked upon as the spirit of not just motherhood, but single motherhood as well. Seen in most representations as the Black Madonna of Częstochowa, an image believed to have been brought to the country in the early 1800's by the Polish soldiers who had come to fight for France in the revolutionary war, she is considered to be a fierce protector of children, and is the subject of many art forms including the visual, lyrical and musical. 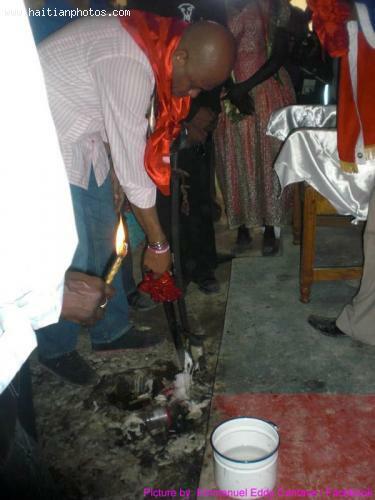 The Voodoo religion is an amalgamated religion that is still widely practiced within Haiti and the Haitian Diaspora. It shares some similarities with Christianity, in that the followers believe in a creator god, Bondye, who is the originator of their lives, much as Christians believe in the almighty God. In this general aspect, Voodoo and Christianity look the same, but particulars can be drawn with the Catholic faith that can't be drawn through other Christian denominations. Practitioners of Voodoo believe in steering their lives by managing personal bonds with Lwa via devotional objects and indulging in ceremonies of spiritual presentations. 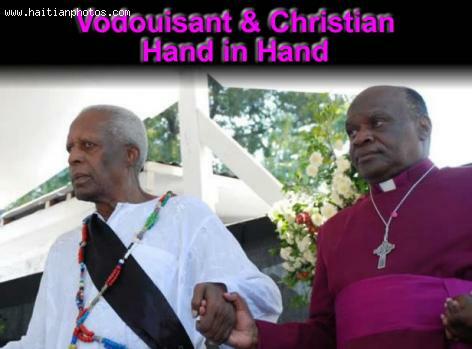 The fact that Voodoo finds its roots in Catholic Church has a chief role to play in this. They hold a belief that their God is in constant communication with the priests and not with the common person, much like the Catholic who use prayer beads and the Virgin Mary, among other things, in prayer. Since the legalization of Voodoo as an authentic faith in 2003, they have grown in political stature. Recently the National Confederation of Haitian Voodoo Practitioners (NCHVP) met with Prime Minister Lamothe to discuss inclusion in the social institutions of the country. They argued against any policies proposed by conventional religious and women's groups keeping NCHVP from enjoying the rights of other civil society groups. 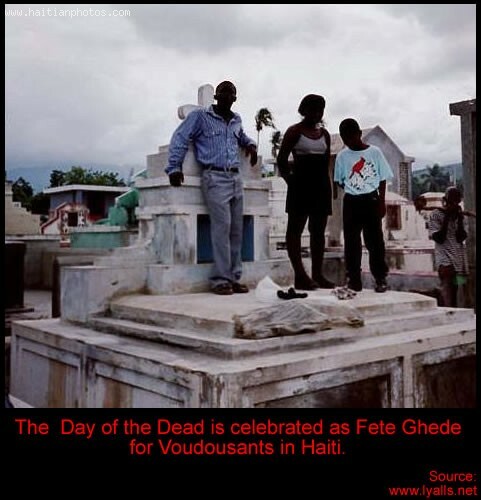 Voodoo High Priestess, Envonie Auguste, stated Haiti's Founding Fathers' ideals included freedom and unity of Haitians, without prejudice of skin color differences, gender, sexual orientation, or religion. She invited the civil society sector to begin a dialogue to right the wrongs inflicted on Voodoo believers, so they may acquire social inclusion in civil institutions. A firestorm has erupted over a radio commercial comedian Tonton Bicha made for Rum Bakara, an import from the Dominican Republic (DR). The outrage focuses on two elements of the commercial, which tie into each other. by Tonton Bicha between the descriptor and its characterization is the trivialization of Voodoo, a Haitian religious belief that has only been legitimized by the government in the last ten years. The content of the commercial depicts a conversation between a houngan and voudouisant (positions held in Voodoo communities) that caricatures Haiti's Rhum Barbancourt, a venerable 150 year-old company that has passed down its legacy to four generations of rum makers.